The IBM "smarter" commercials are ironically stupid. Why? Because I have never (to this point in my life anyway) met a smart energy grid, traffic light, toll system, tree, rock, or otherwise inanimate object. Yet somehow, IBM's magicians can make things with no sentient ability not just sentient, but smart. But, I suppose that wouldn't be too hard to fathom from a magician (who used to make computers and is probably allergic to rabbits), except that they claim to make these inanimate things more than just smart, but smarter. Smarter grocery stores? Trains? Classrooms? Shipment? Smarter than what? 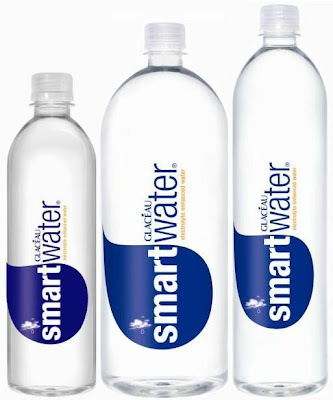 When the one guy says "smarter water", it makes me want to buy some. Seriously. I would love water to think and be smarter. It doesn't need to be smarter than me, but smarter in general would be fine. Oh wait...there is already smart water. Sorry IBM. You missed the boat on that one. And smarter medical records? I dunno man. I don't think that would be good. 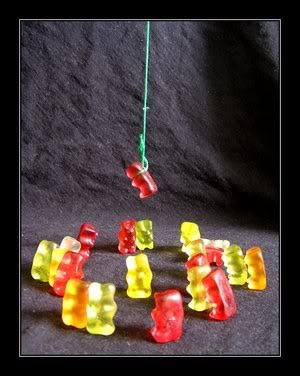 Imagine the mayhem. Not only do they have your health information on them, but they tell jokes about your health problems with witty sarcasm and sass. Or, they mess with you by showing your weight as 140 one day, then 210 the next. Or, maybe they grow legs, become "super-genius-schizophrenic-smart" and start to jump out of windows and burn themselves. Then what good are they? What I would prefer is a smarter IBM. Or perhaps, a smarter IBM marketing strategy. Like maybe just saying: "Look man, we're IBM. We do stuff" or "IBM, the people that used to make computers, but now do mostly consultant work" or "The best part of waking up is IBM". All "smarter" alternatives that get the message across and are attractively self-depricating. That's a company I can get behind (and kick). That Swedish lady freaks me out every time. 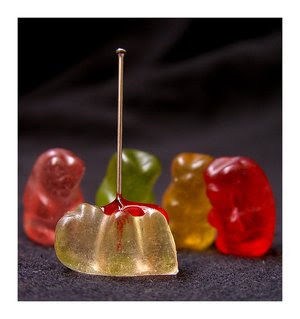 Tasty treats or Crazy freaks? 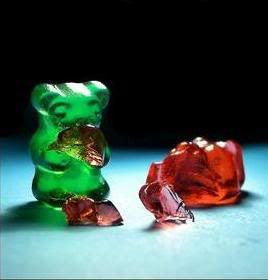 This is a very sensitive subject. One that should never be taken lightly. 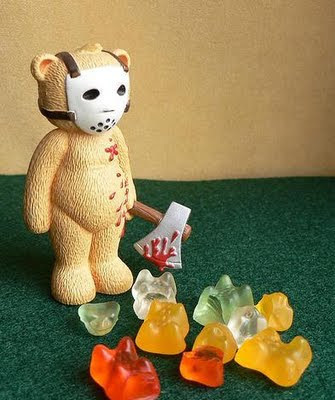 It involves tasty gummy treats. My answer is gummy worms. I know. I know. There are probably people out there reading this who are now pulling out their hair and rending their garments in frustration (or at least they'll want us to think it's in frustration). But c'mon people. They're better. 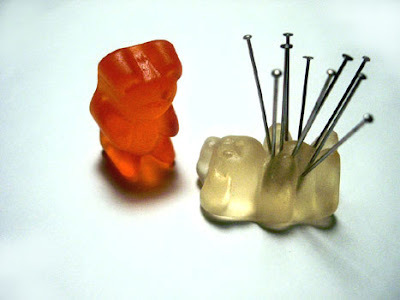 Yes, they are both made out of the same stuff, and yes, you can bite off heads and mutilate gummy bears with toothpicks more so than worms, but after you've had your moments (or hours....or possibly days) of demented gummy savagery you still have to eat it. 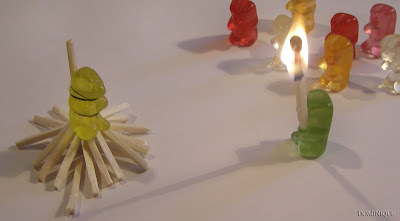 And, on that count, the gummy worm wins. Why? 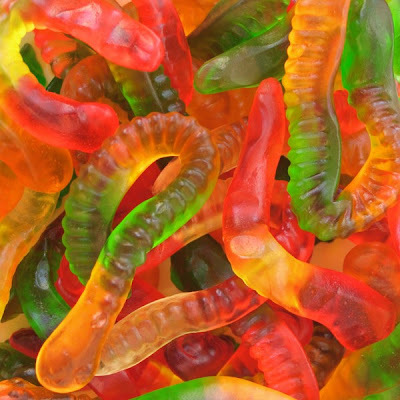 Well, the gummy worm is bigger, longer, and more fun to throw, chew, and the texture is better, and they often come in multiple colors and multiple flavors on the same worm. And, even if I'm not convincing you, you can still hang your hat on the fact that the same company is probably making them both. 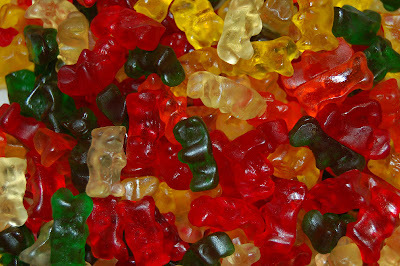 So whether you are buying gummy bears or gummy worms, you are still paying the same guys/gals/aliens. ps - Wait? Did you say aliens? ahahahahahaha.